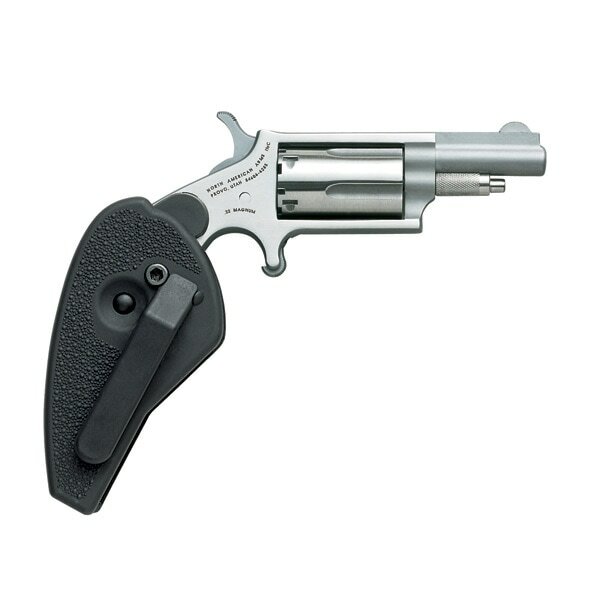 Revolver fits snugly into Holster Grip, unfolds & locks to become handle of the gun. Depressing the release button, revolver folds back into Holster Grip. Holster Grip gives shooter better control & when folded provides additional safety. When folded, trigger is completely enclosed making it virtually impossible for gun to be fired. Clip allows Holster Grip to be carried on belt.